Wednesday, December 5, 2018 3:00-8:00 p.m.
Thursday, December 6, 2018 8:30-10:30 a.m.
Irene T. Schumacher, nee Huelsmann, age 79, of Trenton, died Sunday, December 2, 2018 at her residence. 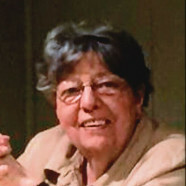 She was born April 28, 1939 in Albers, a daughter of the late Cyril and Anna, nee Heimann, Huelsmann. In addition to her parents, she was preceded in death by a son, John “Ock” Schumacher (March 5, 2018); brother, David Huelsmann; father-in-law and mothers-in-law, Joseph and Bernadine, nee Schrage, Schumacher and Vera, nee Stein, Voellinger-Schumacher; sisters-in-law and brothers-in-law, Emma Huelsmann, Sylvester and Rose Schumacher, Dorothy and Eugene Horstmann; nephews, Paul Horstmann and Don Schumacher; great-nephew, Galen Huelsmann; great-great-nephew, Allan Horstmann; and a great-great-niece, Hannah Berndsen. Surviving are her husband Pete Schumacher of Trenton, whom she married September 28, 1960 at St. Francis Catholic Church in Aviston; children, Joe (Pam) Schumacher of Highland and Jan Puscian of St. Louis; 3 grandchildren, Garett (Chelsea) Schumacher, Ryan (friend Lacey Knodle) Schumacher, and Blake Schumacher, and was highly anticipating the birth of her first great-grandchild after it was revealed to her on Thanksgiving day; siblings, James Huelsmann of Aviston, Herman (Mary) Huelsmann of Dubois, Lorraine (Don) Boeser of Aviston, Sr. Rose “Rita” Huelsmann, SSND of St. Louis, Arnold (Judy) Huelsmann of Trenton, and John (Nancy) Huelsmann of Aviston; sister-in-law, Florence Huelsmann of Breese; and numerous nieces, nephews, great-nieces, great-nephews, and cousins. Irene graduated from Aviston High School in 1957, and formerly worked as the office manager for Dr. Gervase Brefeld, DDS and Dr. Steven Stone, DDS in Trenton. She was a member of St. Mary Catholic Church and Altar Sodality in Trenton where she served as the co-chairman of the quilting ladies and was a former member of the Red Hat Society. Irene enjoyed quilting, reading, movies, and watching sports of all kinds, especially when her grandchildren were competing. Funeral Mass of Christian Burial will be Thursday, December 6, 2018 at 11:00 a.m. at St. Mary Catholic Church in Trenton with Fr. Joseph Rascher, Fr. Chuck Tuttle, and Deacon John Mote presiding. Interment will take place at a later date in St. Mary Cemetery, Trenton. Visitation will be Wednesday, December 5, 2018 from 3:00-8:00 p.m. and again on Thursday, December 6, 2018 from 8:30-10:30 a.m. at St. Mary Catholic Church in Trenton. In lieu of flowers, plants, and other gifts, memorials may be made to Mater Dei Catholic High School, St. Mary Altar Sodality Quilting Ladies, School Sisters of Notre Dame (SSND) Pacific Province, Caritas Family Solution, Gateway Drug Treatment Center, or Cardinal Glennon Children’s Foundation and will be received at the church or through Moss Funeral Home, 105 S. Main, Trenton, IL 62293 who is serving the Schumacher family.